Let your imagination run wild when designing your one-of-a-kind custom headwear. Be conservative or over the top. 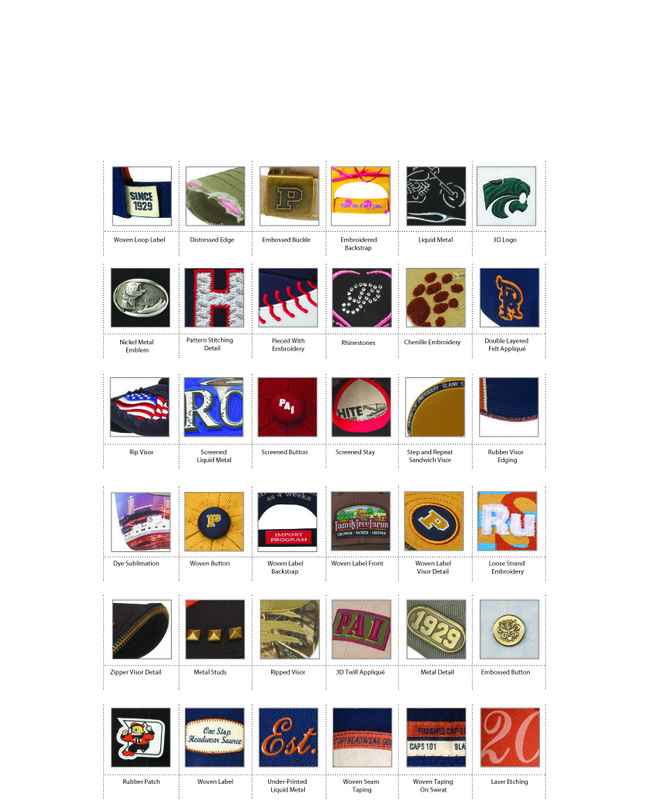 Our goal is to deliver a branded custom headwear piece that perfectly fits your need. The Design Diagram (below) show the decoration locations you may choose from when developing your design. Our Decoration Thumbnails (stacked below) will help you decide which features you would like to explore during the design process. Be sure to identify your color and fabric preferences. Other items that can be customized include the button and eyelets color. 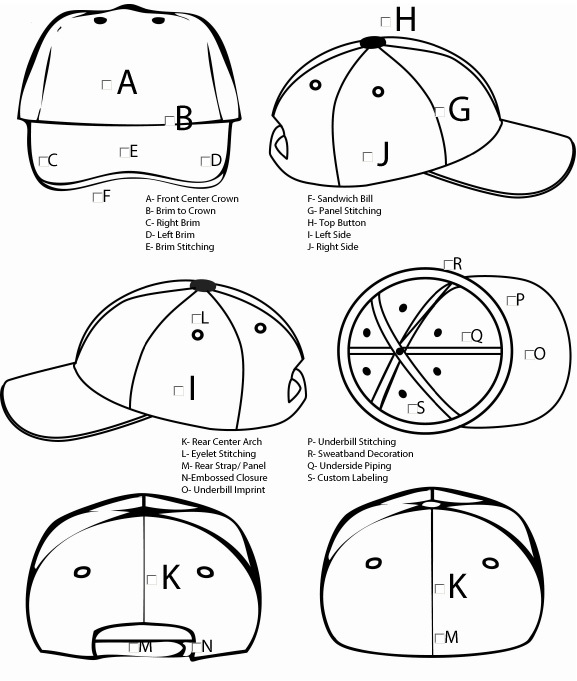 As you select the features for your custom headwear, please fill in this information on the design survey.